This is me saying goodbye to winter…sorta. The Northeast (and Northwest) is still feeling so chilly and cold and winter-y. I’m headed to Chicago and Detroit next week and as I gazed down at the weather report on my phone, the temperatures are still very winter-like! 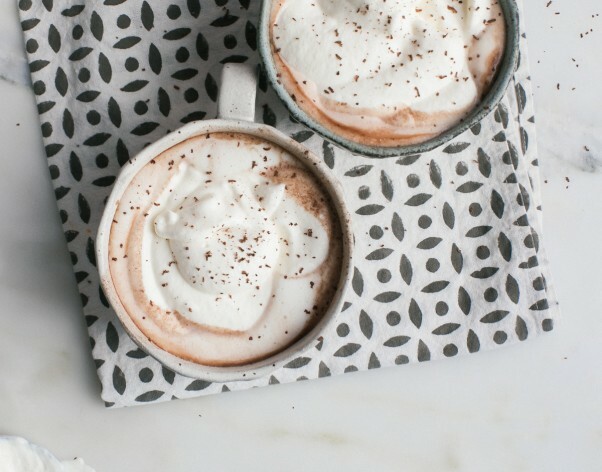 I figured we all probably need something chocolate-y and warm and maybe a little boozy, too, because winter seems like it’s not ending any time soon. The older I get, the more and more I steer clear of drinking dairy. (I will never give up butter in my baked goods.) Almond milk is now my flavor preference, too. I like the nutty flavor and thin viscosity. The chocolate definitely thickens it up a bit. And the bourbon works so nicely with the chocolate. It makes me want to make a bourbon and chocolate cake ASAP. Maybe that’ll be my next recipe on here! 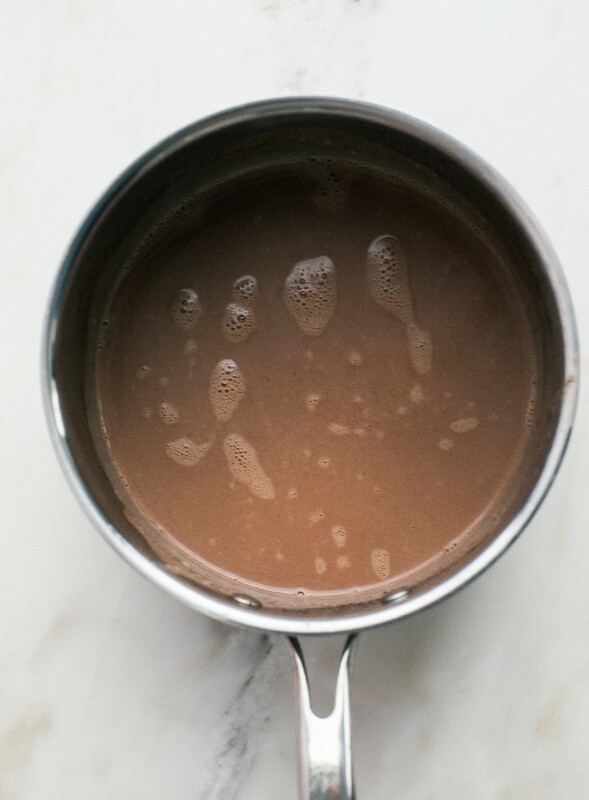 In a medium saucepan, set over medium low heat, add the milk, sugar, vanilla extract, melted chocolate and salt. Whisk until warmed and the chocolate dissolves completely. Lastly, mix in the bourbon and give it a try. Add more bourbon if you like! 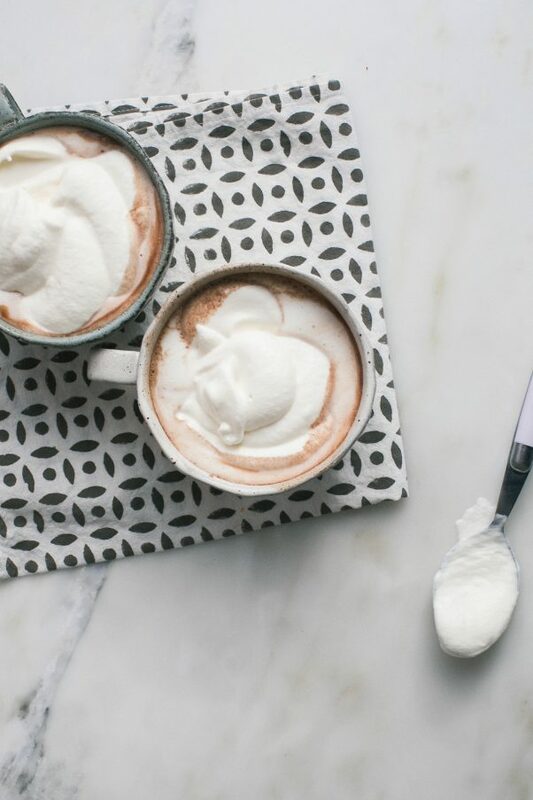 Divide amongst mugs and top with a dollop of whipped cream.